After four emails in about as many hours, I was almost certainly driving Lyndsi Lee crazy. 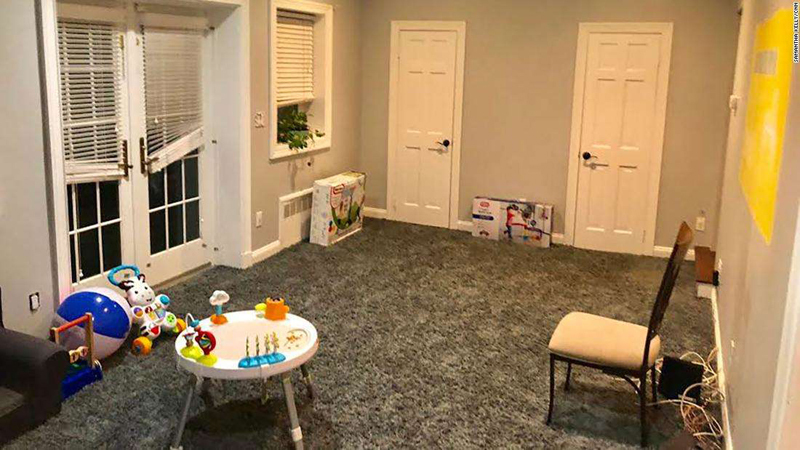 But the 35-year-old interior designer assured me we'd soon figure out whether a pair of comfy chairs or a couch would look better in my son's playroom. It was a pressing question, because having doors and windows along the back wall makes arranging furniture a challenge. © Havenly One of Lee's detailed concepts. Lee, who lives half a country away in East Prairie, Missouri, had spent a fair amount of time compiling a list of furnishings within my budget at Target, Overstock and a few boutique vendors. She mapped the precise location of each bookshelf, table, and picture frame in detailed renderings, and suggested a soft shade called "Repose Gray" for the walls. And yet here we were, weeks later, still tweaking the design. I emailed my latest version to her, worried she might be tired of working with me. "There is no rush," she said. "We are friends for life." I would hold her to that promise. And a life-long friend is not a bad deal for $169, the amount I spent getting a little help from Havenly, one of several online interior design platforms happy to redesign any room in your home. Lee Mayer, 35, and her 30-year-old sister Emily Motayed founded Havenly four years ago to help people who might not have time, skill, or patience to figure out how to decorate their home. The platform works with more than 400 designers and has raised more than $27 million from investors. Havenly does not reveal how many people use the service, but Mayer said it has seen the number more than double each year. © Samantha Kelly/CNN Little touches, suggested by Lee. The service was born of Mayer's own experience. "When I moved to Denver and bought a house that needed way more furniture than what I had in my tiny apartment in New York City, it was nearly impossible to find the time to figure out what to buy, and how to make it all go together," Mayer told me. "We created a solution to a problem that I felt a lot of people faced." 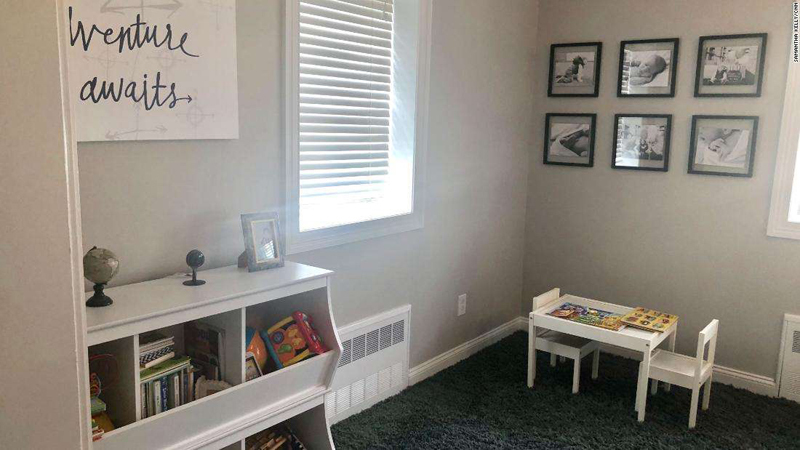 I found myself in a similar situation: After moving to a house in the suburbs from an apartment in the city, I felt overwhelmed and uncertain about what to do with my son's room. I wanted the design to be practical, organized and not scream "We have a toddler!" After looking into hiring a local designer, Havenly seemed far more cost-effective. You pay a totally reasonable fee for the expert help, and the designer -- who suggests products that suit your budget -- gets a small percentage of the cost of the furnishings and other stuff you buy. You can save hundreds, even thousands, of dollars. I took Havenly's multiple-choice quiz, picking my favorite furnishings and colors from a gallery of photos. It declared my style a blend of "transitional" and "farm house." I chose Lee from a handful of designers that matched my taste after browsing her portfolio. "I am really looking forward to designing this room," she wrote me. "I've done it twice in my own homes -- our old and new house. A huge thing for me was that I wanted the room to be functional for the baby but not too 'babyish,' which sounds exactly like what you are going for." She got it. I liked her immediately. Havenly designers work as contractors and earn a flat fee for new clients. Lee was up front about earning a portion of her paycheck from commissions on the products I buy, but promised me I'd feel no pressure to rack up a tab. © Samantha Kelly/CNN The playroom right after we moved in. Drab, empty, in need of direction. 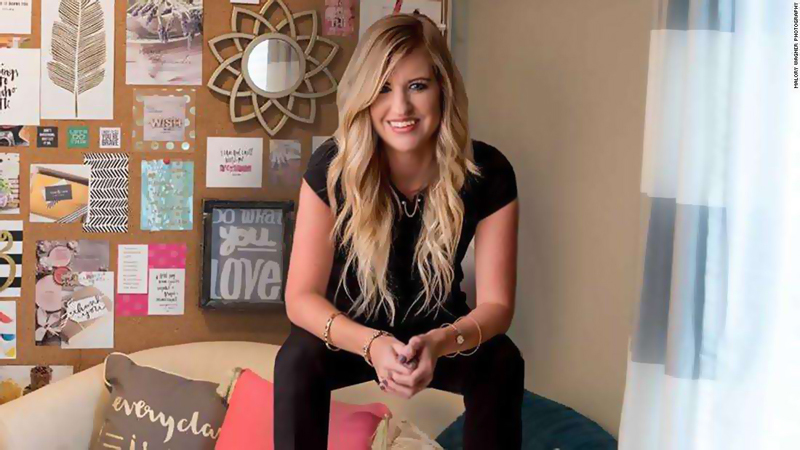 Lee, who has an 8-year-old daughter, quit her job as a high school counselor last year to pursue interior design -- a career she never considered because she didn't want to move. "I live in a rural town, and there's not a lot of people nearby who need a designer," she said. Working online allowed her to stay put. Lee earned her certification in interior design from the New York Institute of Art and Design and started working with Havenly last spring. She takes on six to eight new projects each week, works about 60 hours, and brings in a comfortable commission. "I choose to work these hours because I love it," she told me. "It's my main source of income, but it's not for every interior designer. Sometimes I nail the design, and sometimes I have to go back to drawing board. But that's okay because that's what it's for." Lee started by suggesting a few looks for the room and asked me to rate each of them and provide feedback. Some of them were pretty high energy, with bold colors like blue and orange. I chose a more subtle aesthetic that incorporated light blues and grays with white and wood tones. It complemented the dark blue rug I already had. That done, Lee created a "mood board" so we'd see how different products look together. Then she created a digital rendering of the room furnished with those items to give me an idea of what the final design would look like. Her plan included a detailed explanation of why she chose the various furnishings. No detail was too small. "The pillow I'm suggesting is light in color -- so your mind might automatically just have gone to little Cheetos fingers -- but the great thing about this pillow is that it is made of Sunbrella material," she wrote in one case. "This stuff is GREAT for stains. I wanted to choose a quality item that you wouldn't have to replace every couple of months." Unable to shake visions of orange-stained toddler paws ruining the pillow, I passed. 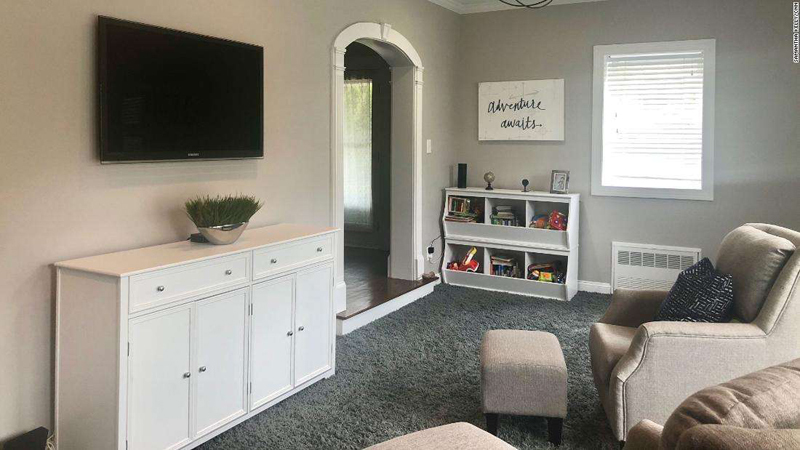 I loved her suggestions for a white media console, wooden end table, double-decker toy chest and art for the walls to complement the blue carpet. I also followed her suggestions to look for bargains on sites like Amazon and repurpose things I already had. 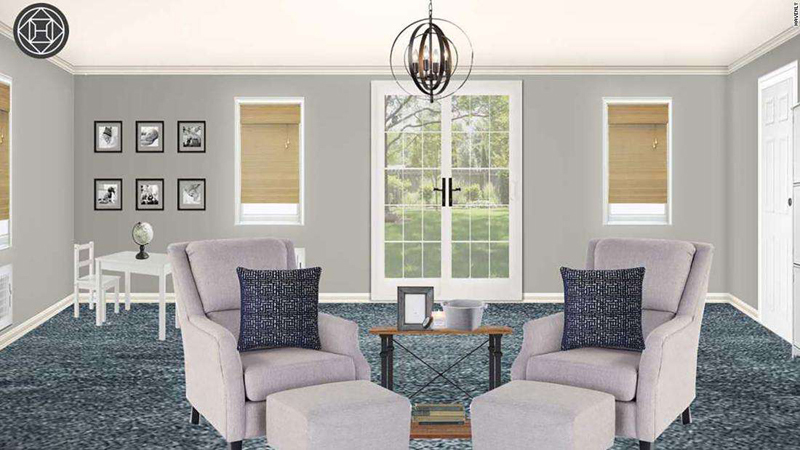 When my husband and I settled on two gray accent chairs and ottomans we spotted at a local store, made by a company that is not a Havenly vendor, I emailed her a picture to make sure the style worked. She quickly responded, "The chairs look great!" "Designing a room for someone is the easiest part of the process when you have good communication," Lee later told me on the phone. "But some people are harder to read and if I don't get a lot of feedback on why they don't like something, it's harder to fix and avoid." Along with services like Laurel & Wolf ($174 for a room) and Decorist ($299), Havenly is part of a growing trend to bring a more accessible, even a la carte approach to interior design. 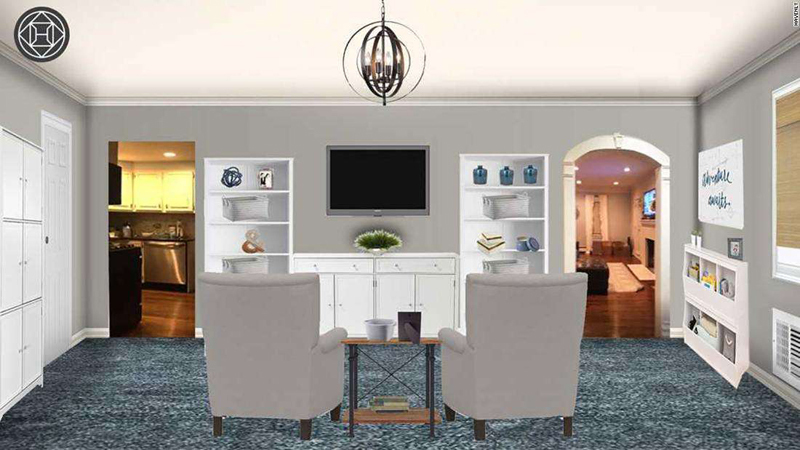 Havenly offers "mini design" packages for just $79 if you don't need a rendering or simply want a seasonal refresh or tips for, say, holiday decorating. Most of these sites offer discounts for first time users, too. But the experience doesn't work for everyone. A colleague who gave Havenly a try found herself underwhelmed by the design. "I think it is hit or miss depending on designer you pick, but they do work with you just about for as long as you need," she said. © Malory Wagner Photography Havenly designer Lyndsi Lee quit her job as a high school counselor to pursue interior design -- a career she never previously considered because she didn't want to move. That said, she praised Havenly's customer service for handling things like replacing anything damaged in shipping. Still, I got hit with steep shipping fees on two items. Although that was largely out of Havenly's control -- and the site gives you the option of signing off on the final price of everything that goes into the room -- it should be more transparent about potential hidden fees. None of that was enough to keep me from going back to Lee to redesign my living room, however. As for the playroom, I sent her a few photos once the paint had dried and I'd arranged the toy chest, chairs and everything else. "Your room looks AHH-MAZING," she replied. "Of course, I might be a little partial." She's right. But I may be a bit biased, too.